Why not? 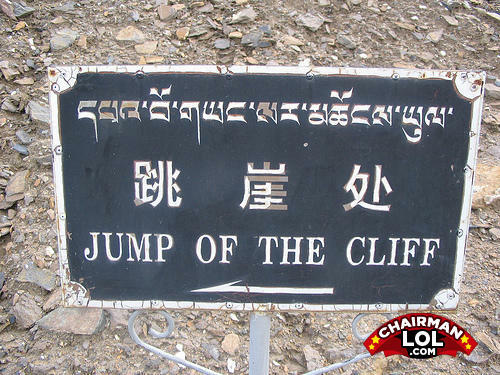 reading all these awful engrish signs is making me a bit suicidal anyways. At least can i parachute my way down ?!? What's red and smells like a rose? Bumble-bees licking honey off of a stick.